With a goal of raising $50,000, Music Empowers hopes to continue its mission of helping to bring innovative music education programs to children in underserved communities across the country. The fundraiser kicked off March 1 and will run throughout Music in our Schools Month, ending at midnight on March 31. Music Empowers is calling upon some of its most ardent supporters – American Idol winner and platinum recording artist, Kris Allen, and E-Street band guitarist and star of HBO’s The Sopranos, Steven Van Zandt – to help spread the word about Music Matters. They tell us why “music [education] matters” to them, and why it should to everyone, in video vignettes to be aired on the Music Matters giving page as well as the Music Empowers Facebook page. 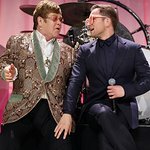 To add even more excitement, the fundraiser will feature an online auction of high-profile music items such as autographed guitars from Kris Allen, Elvis Costello, Chris Daughtry, and members of the band Daughtry, a “Rocket Man – Number Ones” CD set signed by Elton John, and autographed drum sticks from Neil Peart of Rush. 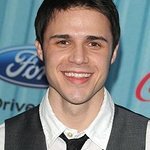 The Foundation also announced as a special incentive for early donors, the first 200 people to donate $50 or more would receive a special DonorsChoose.org gift card from Music Empowers and Kris Allen. To make a donation, please visit the Music Matters custom giving page.